A land of wild, fantastic beauty; of mighty trees and great rivers, of tangled, breathless jungle and boundless, unlimited prairies, of towering, awesome crags, and dank, gloomy, fever-ridden swamps, of reeking, far stretching savannas, and of great lakes. A land of pleasant summer and cruel, merciless winter. A land of beauty and terror. A land of wilder beasts and wilder men. Matthew Woodring Stover started a blog a few months ago. 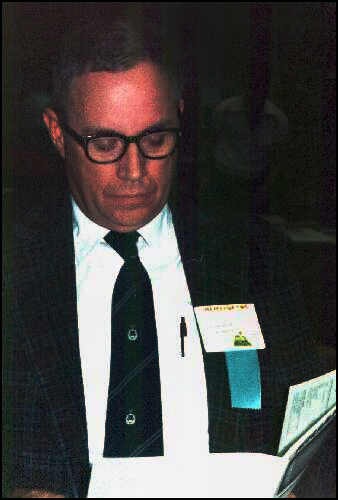 Recently (it would seem), he stumbled upon a web log entry written by the late Steve Tompkins. Stover’s post can be found here. I remember the situation that precipitated Tompk’s post vividly. On the Official REH Forum, a newly-minted member by the name of “Baphomet” had spewn forth the supposition that Robert E. Howard had only influenced, at best, two or three authors in the last eighty years. Steve Tompkins made note of Baphomet’s contrarian idiocy and took action. For my part, I did the same, creating a “Quotes in Praise of Robert E. Howard” topic to demonstrate the far-reaching impact of REH’s work. Destruction of an enemy is all well and good, but construction of a shieldwall as a bulwark against future silly attacks has its place as well. 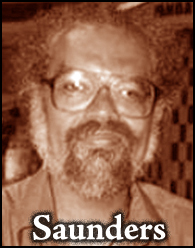 The “chants of old heroes” that REH spun out of his singular imagination are still ringing in the ears of authors today; make no mistake. It’s a damned shame that we’ll see no more installments from Tompk in his (occasional) series: “REH Alive & Well As a Ghost in the Pop Culture Machine.” We’re doing our best here at TC to carry forward the banner, fear not. 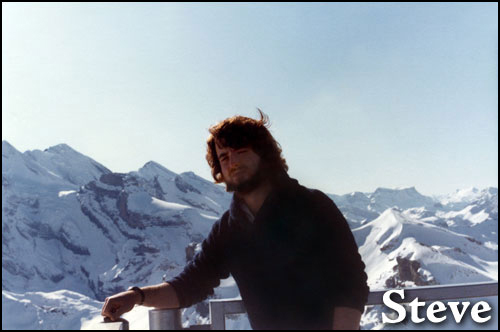 Mr. Stover is working on a new “Caine” novel entitled His Father’s Fist. 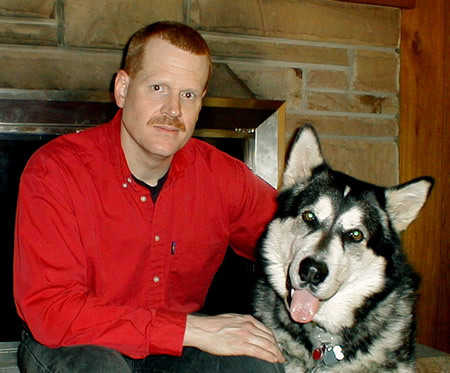 Craig Clarke, proprieter of the literary blog, Somebody Dies, has been a busy man the last two years. 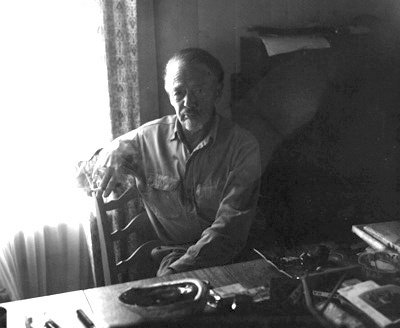 Since the final week of December, 2007, Clarke has posted over two hundred entertaining and insightful reviews of genre novels ranging from westerns to hard-boiled noir to horror. That was all well and good, but then last May Clarke discovered REH by way of Del Rey’s The Horror Stories of Robert E. Howard. Clarke became a born-again, hard-core Howard-head and posted two more REH book reviews in fairly short order. In a mere six months, REH is now lodged in the midst of Clarke’s “Favorite Authors” list, right there amongst Lawrence Block, Ed McBain and Westlake. Clarke has also given Howard due honor by placing REH in his “Favorite Reads of 2009” list. 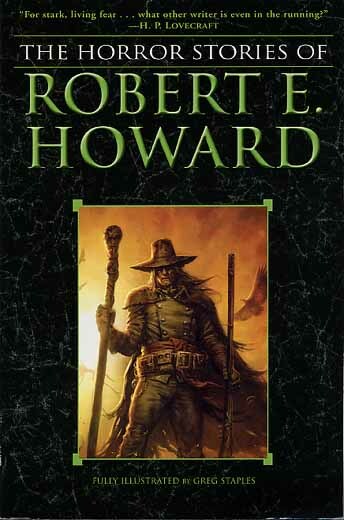 As a final note, I would just like to mention that, before being introduced to the work of Robert E. Howard, I was under the impression that fantasy was a tired genre with nothing to offer me. Also, short stories held no appeal. These two perceptions were turned on their ears upon entering Howard’s world. After only one book, The Horror Stories of Robert E. Howard, I was an instant enthusiast, and Crimson Shadows has given me all the more reason to remain that way. 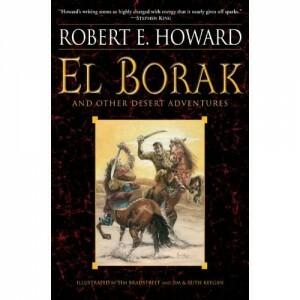 It confirms my opinion (formed by the Horror Stories) that Robert E. Howard was a Great Writer and one who deserves to be reevaluated by those who feel that men who do their best communicating with swords, guns, and large fists are not to be taken seriously. This collection strongly suggests otherwise. 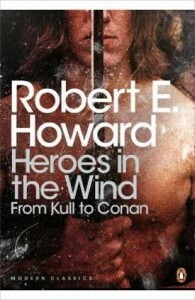 I have seen some complaints about the title of the Howard collection from Penguin Modern Classics, Heroes in the Wind. It doesn’t seem out of place to me. Evoking Kansas’ “Dust in the Wind” as it may, still, that’s a very Howardian sentiment. Men and their worth sink back to dust. 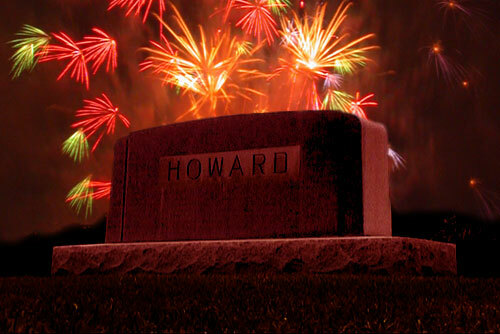 I think Howard would agree with Kansas that all we are is dust in the wind. The book itself is an odd mix of classic Howard and little-known stories, but not a bad introduction to a new readership. It gets no points from me for the cover, though. Much as I enjoy the work of Robert E. Howard, he does occasionally write in such a rush that he makes a mistake. One such mistake occurs in “The Hour of the Dragon” when he learns the true nature and origin of Xaltotun. Which raises the question, how many centuries does Conan remember? 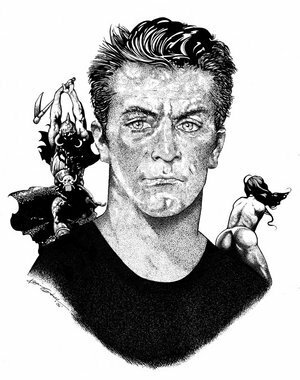 Obviously Howard meant that Acheron had been a myth for so long no one knew how many centuries ago it was known to be real; instead he gives the impression of a centuries-old Conan, who seems a pretty feisty guy for someone that aged.